Today I am excited to introduce Scott and Teri Englund and their two daughters. They hail from the beautiful city of Cusco, Peru where they. . . Well, I’ll let Scott tell their story. Tell us about your family. How long have you been married? How many kids do you have? How long have you lived in Peru? I have been married to my wife Teri for 18 years. We have two kids, Kayle(13) and Emma(10). We are serving as faith based (we raise our own support through our personal contacts) missionaries in Cusco, Peru and have been in Peru for four years. We have lived a really fun and exciting life. Our girls are beautiful princesses that like to get dirty and play hard. Our family is durable and flexible which makes it easier to cope with culture issues in Peru. What did you do before you moved to Peru? I had a financial planning brokerage most recently before we moved to Peru. My entire career was connected with the Life Insurance and financial products industry. What fears and real concerns did you have before you moved? How did you overcome those fears and take the plunge? I did not have too many fears about what we were heading down to do. It was just another step in the journey. Life has a way of preparing one for the next chapter. Yeah, there were some fears, but they were manageable. Things like fundraising have always been an ongoing concern. My biggest fear now is going back to the US. It is so different now than when we left, that it feels like another foreign place. I have found that I could live pretty much anywhere and still be content. God built a pretty cool planet…I wouldn’t mind living in a lot of it. What is your work in Peru? Our work in Peru can be summed up by saying that we start and operate businesses to generate profit in order to support viable local social projects. We currently operate a café/restaurant, a guest house, and a language school. Most recently we have started a high end dirt bike tourism company as well. I like to enjoy my work, so as an entrepreneur I have the freedom to choose which type of business to operate. I love people, dirt bikes, and the international scene of Cusco. This is a perfect fit. My wife is involved in the operations of the businesses as she does the accounting and helps out in the café. She is also involved in a number of other ministry projects such as a program at the local hospital where she visits children stricken with leukemia. What has been the greatest challenge in raising your kids there? What are some of the most rewarding aspects of raising your kids there? It has been difficult to raise our kids in a foreign country where we do not like all aspects of the culture. There are things that we do like, but you get the good with the bad. The education system has been a challenge, but also the ability to have our kids involved in our mission work. They go to regular school now and have little time to participate in the “missionary” stuff. The most rewarding aspect is the language. Listening to my children pray inn Spanish makes me well up with joy. They are fluent and can speak two languages well. They will forever be able to use their Spanish and English throughout their lives. I am a little bias, but The Meeting Place Café serves up a great sandwich called the Scotts Special. Outside of our place, there is a barbeque place called Fuegos. Great Ribs! The Bible has been a good one, but enough of the Sunday School answers. I am not much of a reader, let me think on that one. More than books, I have had people impact my life more than any book could do. My family(grandparents, parents, my wife, my kids, a Sunday school teachers, youth pastors, friends). They are my books. Don’t wait until YOU are ready. Its easy to talk about things, but to actually do it, takes a bit more. However the reward is much better. Figure out what you like to do the most and then make it into your mission to serve. 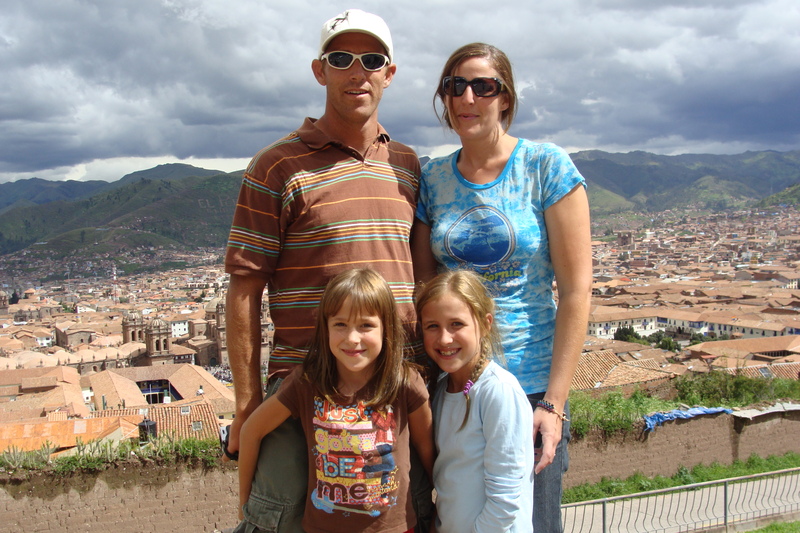 Scott and Teri blog about life in Cusco at theenglundfamily.blogspot.com. 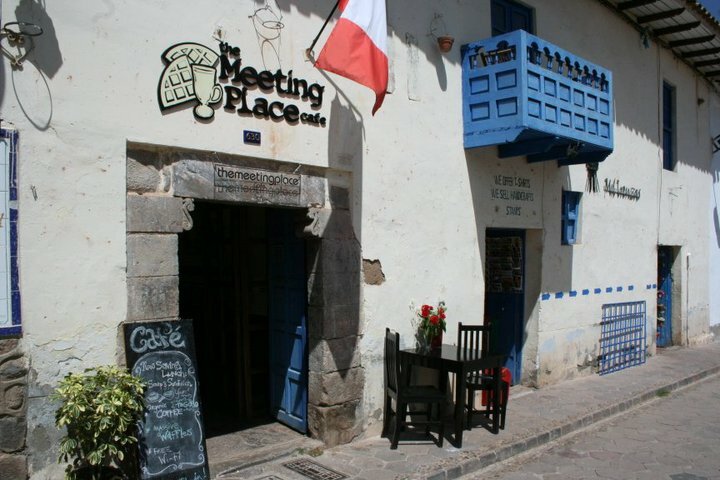 Their coffee house, The Meeting Place, can be found at themeetingplacecusco.com. They are looking for a volunteer to manage their cafe! Anyone interested? Details are on the Meeting Place website. Finally, for the ultimate adventurer in everyone, check out the photos on the website for the dirt bike adventure tours – http://motomissionperu.com/.